AUGUST 30, 2013: If you haven't already, mark your calendar for the Association's September 6 Annual Meeting - one week from today. The meeting, once again held at The Lantana in Randolph, begins at 1:00 PM. Further information and directions can be found by clicking here. SEPTEMBER 21, 2012: Members turned out, by the hundreds, at the Annual Meetings, first in Randolph and then in Pittsfield for those living in Western Mass. “While the western meeting has traditionally been held in Pittsfield, this was our fourth year at Lantana’s in Randolph,” according to Association Meeting Coordinator Leo Delaney. Last Year, we held our first brunch meeting for our members living in the Southeastern region. Because of its success, we're going to do it once again - different date but same place and time. There are plenty of door prizes, as well as guest speakers, and no charge! MAY 11, 2012: June is just around the corner and with it comes our Annual Greater Boston Luncheon to be held on June 22, 2012 at 12:00 noon. Once again, it will be held at the Holiday Inn, Route 1, Dedham. Our Annual Spring Luncheon is a great opportunity to enjoy lunch with your former coworkers and fellow retirees, while hearing the latest retirement and healthcare news from Association officials. Guests are always welcome at our events as well. 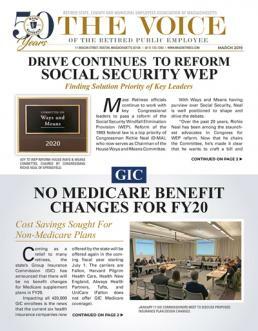 JANUARY 2012: Anyone hoping that the recently passed “Pension Reform III” (Chapter 176) would mark the end, at least for the foreseeable future, of further changes in pension and health insurance benefits will be sorely disappointed. Contained within the final pages of the new law is the establishment of four separate studies or commissions – all aimed at making greater changes to pension and health insurance benefits.